Shopping for a new Nissan Titan? Did we mention that it’s often discounted? Don’t buy a 2019 Nissan Titan without taking advantage of numerous rebates typically stacked on its hood. 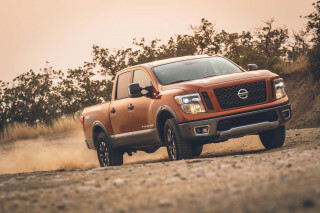 The 2019 Nissan Titan is out of step with far more advanced rivals that don’t cost much more. The 2019 Nissan Titan is a full-size pickup truck that gets the basics right: it’s a hauler with plenty of power and a spacious cab. 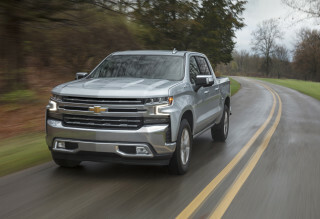 What it doesn’t do is offer many compelling reasons for loyal truck buyers to jump ship after years behind the wheel of its chief rivals. For 2019, the Titan gains a 7.0-inch touchscreen for infotainment with Apple CarPlay and Android Auto compatibility and optional Fender speakers replace last year’s Rockford Fosgate system. 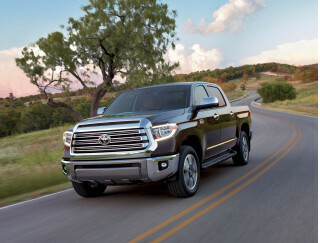 The Titan comes in S, SV, Pro-4X, SL, and Platinum Reserve trim levels and a choice of regular-, extended-, or crew-cab configurations paired to 5.5-, 6.5-, or 8-foot bed lengths, respectively. The Titan XD’s name denotes a beefed up frame and an available turbodiesel engine that helps it slot between half-ton and three-quarter-ton pickup trucks—a niche that might make sense for some shoppers. Most Titans leave the automaker’s Mississippi assembly plant with a 5.6-liter V-8 rated at 390 horsepower shuttling power to either the rear or all four wheels via a 7-speed automatic transmission. The Titan XD’s available turbodiesel V-8 makes a hefty 555 pound-feet of torque and uses a 6-speed automatic. With a towing rating of about 12,000 pounds, the Titan XD is ready to lug large loads with ease. Titans don’t disguise their mass as well as pickups from Detroit, but they ride well enough and are comfortable highway cruisers. The gas V-8 is far from thrifty, while the turbodiesel Titan XD’s weight puts it out of the EPA’s purview. Inside, the Titan has good space in crew-cab configuration—as it should since it’s as long as a city block. Its design debuted for 2017 but could just as well have hit the market in 2007. This year’s infotainment upgrade puts its tech story on par with rivals, but don’t look for active safety features. The 2019 Nissan Titan is an odd-looking pickup truck. Mama always told us that if we don’t have something nice to say, don’t say it. The 2019 Titan’s upright grille is slathered in the right amount of chrome for a big pickup—except in the Midnight Edition package that blacks everything out. It’s flanked by tall headlights that look more like stretched car units than those designed for a pickup. Quirky fender lines up front that are repeated in its cargo box don’t help. The least awkward body is the crew cab with its SUV-like four-door configuration. The Titan extended cab’s rear doors are hinged at the back, while the regular cab looks like a fleet special with its mandatory 8-foot bed. Extended cabs have a 6.5-foot bed, while crew-cab titans use a 5.5-foot bed. Aside from badging, the Titan XD looks just like its sibling. We applaud Nissan for offering two-tone paint options on some trims, which add some visual interest. Inside, the Titan’s dash is perfectly average and devoid of personality. A newly standard 7.0-inch touchscreen for infotainment helps the latest Titan look more upmarket than last year’s model, but it did little to alleviate the bland hodgepodge of shapes and buttons. Of particular note is the bizarrely long column-mounted gear shift, which looks dowdy against the finely knurled gear knob in the Ram 1500 and the carlike center console shifter in the Ford F-150. The 2019 Nissan Titan’s engines provide good acceleration and towing ability. Most 2019 Titan pickups have a 5.6-liter V-8 under their hoods rated at 390 hp and 394 lb-ft of torque. The engine works well with the standard 7-speed automatic to furnish good acceleration accompanied by a throaty exhaust note. Optional on the Titan XD is a 310-hp, 555 lb-ft of torque 5.0-liter turbodiesel V-8 built not by Nissan but by Cummins. The turbodiesel makes its presence known with more clatter than the V-8, but it’s strong and torquey. Properly equipped Titan XDs can lug up to about 12,800 pounds, but most crew-cab configurations are rated at closer to 12,000. That’s about 2,000 pounds greater than the standard Titan. In practice, the turbodiesel in the Titan XD makes for more confidence-inspiring towing well within its limits than the gas-fueled V-8. If you routinely lug large car trailers, for instance, the Titan XD may make a perfect tow rig. Rear-wheel drive is standard on the Titan, but all trims offer a part-time four-wheel-drive system as an option. The four-wheel-drive system is controlled via a knob on the dashboard and isn’t suitable for use on dry pavement like automatic systems offered in some rivals. No Titan has an especially comfortable ride, although XDs ride stiffly with an unladen bed. The Titan Pro-4X throws in some off-road goodies such as Bilstien shocks and locking rear differential, but its dimensions prevent it from being much of a trail climber. Nissan doesn’t have an answer to more serious off-roaders such as the Ford F-150 Raptor or even the Toyota Tundra TRD Pro, but we’re not sure there would be much demand for one. The Titan’s steering is well-weighted and settles in reasonably well at highway speeds for long-distance cruising. The 2019 Nissan Titan has room for the whole family—and all their gear. 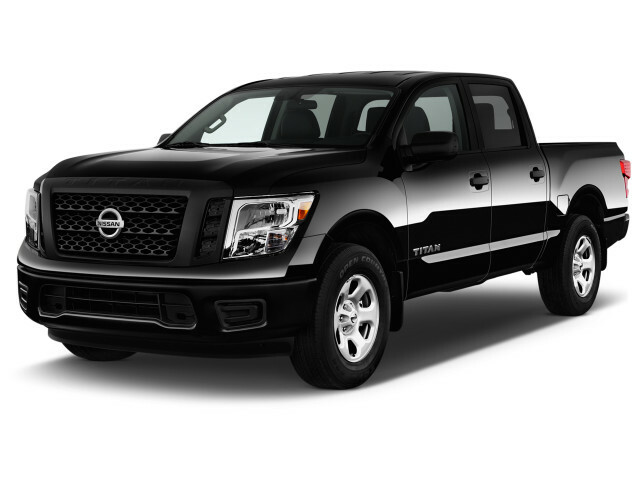 The 2019 Nissan Titan is a big pickup, which means it has plenty of space for up to six passengers inside. Controls and storage bins are not as thoughtfully arranged in the Titan as they are in most rivals, and even the top-dog Platinum Reserve lacks the “cowboy Cadillac” feel of some competitors, however. The Titan comes in three cab configurations: standard-, crew-, and extended-cab bodies. Nissan doesn’t offer choice when it comes to bed lengths: 8-, 6.5-, and 5.5-foot beds, respectively. Up front, the Titan’s standard bench seat is well-shaped and reasonably comfortable. The standard driver’s seat on S and SV trims is not height-adjustable, although an 8-way power seat is optional on the Titan SV. For a big truck with mediocre outward vision, this is a concerning oversight. The optional front bucket seats on crew cabs are joined by a wide center console with various storage bins. Standard-cab Titans have no storage space behind the front bench. Extended cabs can accommodate kids but are best for hauling the family dog around. The rear seat on Titan crew cabs has good space with a backrest that’s frustratingly upright. The Titan’s interior doesn’t impress with its materials, although trucks we’ve driven have had a solid feel. The 2019 Nissan Titan isn’t available with crucial collision-avoidance technologies. In what crash tests have been performed, the 2019 Nissan Titan has earned mixed scores. That doesn’t offset its lack of advanced active safety tech—features that should be widely available in a 2019 vehicle. The feds’ test was only performed on the more popular crew-cab configurations. The IIHS rated the Titan “Good” in the crash tests it performed. Its headlights scored “Marginal.” The insurance industry-funded group tested the Titan crew cab and has not crashed other body configurations. The Titan XD has not been crash tested. Titans include six airbags, stability control, and anti-lock brakes. Blind-spot monitors and rear cross-traffic alerts are optional, but that’s as far as the Titan goes when it comes to safety. Automatic emergency braking, adaptive cruise control, and active lane control are not available on any Titan. The 2019 Nissan Titan offers a good value for a full-size pickup, but it lacks some key features. The Titan S is a small step above a typical work truck with its cloth and vinyl seats, power features, air conditioning, 7.0-inch touchscreen for infotainment with Apple CarPlay and Android Auto compatibility, USB port, and Bluetooth. The Titan S starts at about $31,000 in standard-cab configuration. Figure $3,000 more for an extended cab and another $2,000 for the crew cab. Four-wheel drive costs about $3,000. 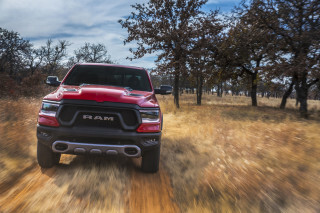 Most shoppers will probably step up to the Titan SV, which adds chrome exterior trim, alloy wheels, upgraded upholstery, and a few other features. The Titan SV serves as the gateway to worthwhile options such as bucket front seats with a console, a power driver’s seat, navigation, and dual-zone automatic climate control. A popularly equipped Titan SV with the crew-cab body, four-wheel drive, and a few options costs about $46,000. That’s about as far as we’d go with a regular Titan. Higher-trim Titans add off-road goodies (Pro-4X), leather upholstery (SL), and dressier interior appointments (Platinum Reserve). With every option box ticked, the Titan costs about $60,000. That’s well under some decadent rivals, but it’s also not nearly as well outfitted as, say, a Ram Laramie Longhorn. The Titan XD’s options and trim availability largely mirror those of the standard model. The base Titan XD costs about $33,000, while a Platinum Reserve with the Cummins turbodiesel and a few packages is priced at about $67,000. Notably, Nissan doesn’t offer many individual options on the Titan. All Titans have a five-year, 100,000-mile bumper-to-bumper warranty. The 2019 Nissan Titan is about mid-pack for a full-size pickup truck when it comes to its fuel economy. 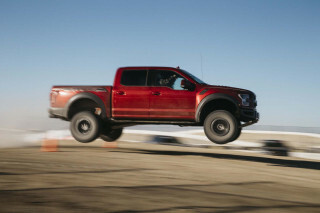 Rear- and four-wheel-drive Titans share the same rating, with a couple of caveats. For one, the Titan Pro-4X’s slightly higher stance and off-road tires dent its figures to 15/20/17 mpg. Secondly, the Titan XD’s curb weight means that the EPA classifies it as a commercial vehicle—it’s exempt from fuel-economy testing. That’s true for other heavy-duty pickup trucks such as the Ford F-Series Super Duty and Ram 2500, so we can’t fault Nissan.